Daniel Neyland & Norma Möllers article ‘Algorithmic IF … THEN rules and the conditions and consequences of power‘, was recently published in the journal Information, Communication & Society. The online advertising industry has faced a considerable backlash recently as a greater understanding of how the practices of data scraping, aggregation, mining and user profiling are carried out behind the scenes. From Edward Snowden’s revelations of governments using social media to perform mass surveillance, to the often creepy presence of targeted adverts that slow mobile web browsing to a crawl, we’re now much more aware and concerned about who knows what about us. Follow the stor(if)y from ‘Space Invaders: Women Museum Leaders #MuseumAgender‘ conference featuring Nirmal Puwar. via Four global top 40 subjects for Goldsmiths in QS university league table, Goldsmiths, University of London. Last week Vikki Bell gave the final talk entitled ‘Imagine This! Art as a Forum for Truth-telling’ at the University of Essex’s ‘Argentina 1976-2016’ week: Argentina 1976-2016: Activism, Memorialisation and Complicity. This was followed by a short film presentation of Buena memoria on the work of Marcelo Brodsky. The above shows Marcelo working on an image of his school class from 1967, on which he inscribed the stories of what happened to his class in the twenty years following the taking of the photograph. This meant detailing the impact the 1976-1983 dictatorship had on a group of school-aged children. Some were murdered or disappeared by the regime; some were forced into exile. Tomorrow (23 March), Michaela Benson will be discussing her project on self-building with Laurie Taylor on BBC Radio 4’s ‘Thinking Allowed’. 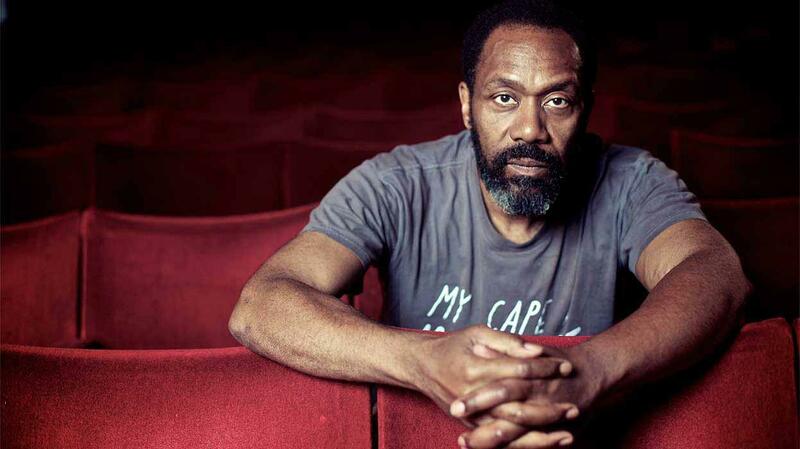 On Tuesday 22 March, actor, writer and TV presenter Lenny Henry will be taking part in our Question Time-style panel event examining how British television represents its population. Part of the Future for Public Service Television Inquiry, the debate will cover diversity in the media, a subject on which Lenny has been especially vocal, calling for better representation of black and Asian minority ethnic (BAME) people in the creative industries. Lenny will be joined by panellists Bev Skeggs, Professor of Sociology, Goldsmiths, University of London; Rupa Huq, MP and former Sociology lecturer; and Dawn Foster, writer on politics, social affairs and economics at the Guardian. The event is open to the public and free tickets can be booked through eventbrite.